Holy Week heated up in Mexico’s Pacific Treasure; Rihanna caused a stir on social media with her teeny bikinis in Punta Mita and Maluma offered a concert in Nuevo Vallarta. The Riviera Nayarit continues to position itself as a luxury and nature destination much sought-after by celebrities. This Holy Week was no exception, when singer, actress and fashion designer Rihanna’s visit was the hottest topic in town. Punta Mita, the Riviera Nayarit’s Glamour Peninsula, was the micro destination of choice for the singer of the hits “Work” and “Diamonds.” To be more exact, she vacationed at Casa Aramara, owned by U.S. producer Joe Francis. The Barbados native posted videos on her social media accounts where she was seen happily dancing to songs such as “La Bamba” and “La Cucaracha” played by a local mariachi band. She was sporting a hat typical of the state of Michoacan and breaking a piñata in her own likeness. Not even 24 hours had gone by when several celebrity-centered international media had already published images of Rihanna wearing a teeny bikini on the beaches of Nayarit. 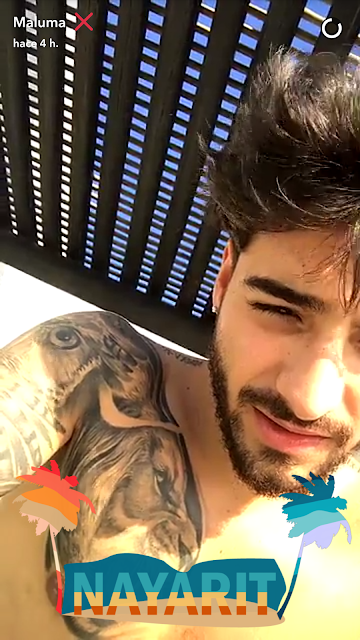 Last April 13th, Colombian singer Maluma performed in a jam-packed concert at the Hard Rock Hotel in Nuevo Vallarta in front of thousands of people as part of his tour through Mexico. Visits to the Riviera Nayarit by models, influencers, designers and celebrities have been a growing trend throughout 2017. For example, TV hostess Renée Bargh was recently spotted at the Four Seasons, and Vogue models have been seen in various coastal towns in Nayarit.